Britain’s Holly Rush won the inaugural UltraVasan 90km trail race in Sweden on Saturday, the 36-year-old clocking 7:09:04 to also finish 14th overall. In the men’s race her fellow Briton Steven Way, who less than a month earlier had finished 10th in a PB at the Commonwealth Games marathon, finished as runner-up to home favourite Jonas Buud who clocked 6:02:03 to Way’s 6:12:28. Featuring a route taking athletes on a 90km journey from Sälen to Mora, the UltraVasan offered prizes to runners who reached specific parts of the route first, so long as they eventually completed the full 90km. Rush was almost four minutes behind at the first stage – Mångsbodarna – at 23 km. But with 19km to go, the Briton had built a one-minute lead and despite losing her shoe twice, crossed the line 13 minutes clear of Sweden’s Mimmi Kotka. “90 kilometers is a very long distance so I ran very carefully and I kept my speed,” said Rush, who only ran her first ultra-distance race in 2013 and completed the prestigious 89km Comrades Marathon in 7:04:29. In the men’s race, Way led at the half-way point with a 13 second advantage over Buud, but the Swedish athlete was stronger over the second half and crossed the line 10 minutes clear. “Jonas was incredibly good today and I definitely lost to a better racer,” said Way. 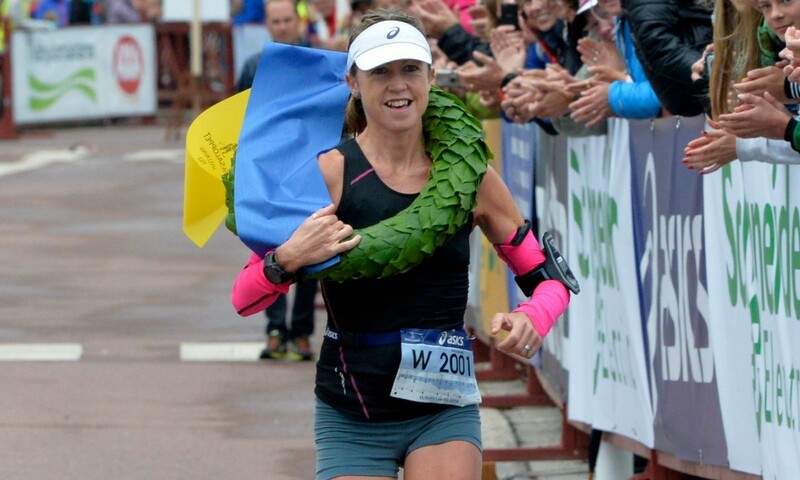 “But I am really satisfied with my second place,” added the 40-year-old whose transformation story from a 16-stone smoker in 2007 to a 2:15:16 marathoner is now well known in the athletics world. As well as the 90km event, there was also a half-distance race held, with the women’s UltraVasan 45 won by Gloria Vinstedt of Sweden in 3:28:13 and the men’s by Roman Ryapolov of Russia in 2:49:47.